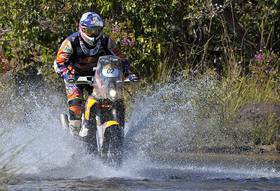 Rally dos Sertões: KTM’s Marc Coma hangs on to overall lead in dos Sertoes. 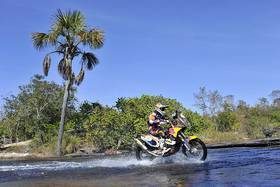 Red Bull KTM’s Marc Coma wrapped up the fourth stage of the "Rally dos Sertoes" on Wednesday just a fraction over one minute behind second placed Paolo Goncalves of Portugal to hang onto the overall lead by a margin of two minutes and four seconds. As the stage winner on Tuesday it was again Coma who had to open the track on Wednesday and he said he was quite satisfied even though the race continued to be tight. "This was not an easy stage," Coma said. 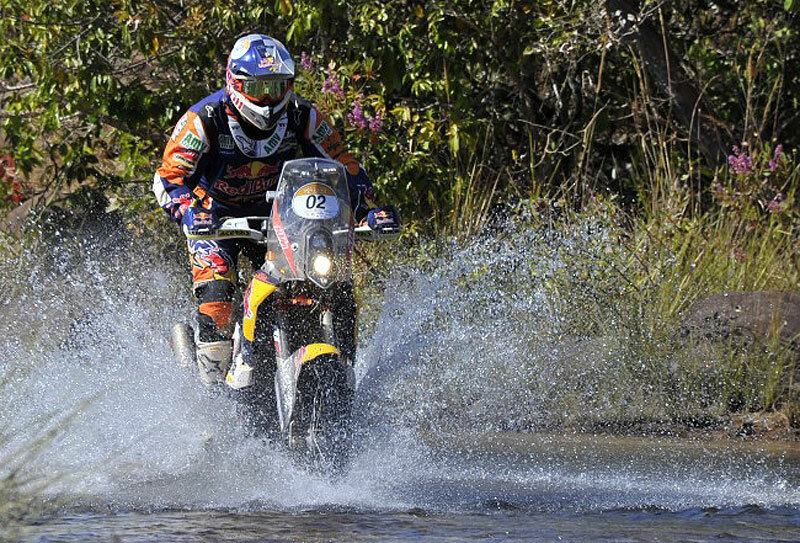 "It was the longest timed special of the rally but again we had a good rhythm. We had to sacrifice a bit of time while opening the track but that was to be expected. All indications are that this will be a race that will be decided on the last day so we must continue to concentrate hard because here it is very difficult to get an advantage." 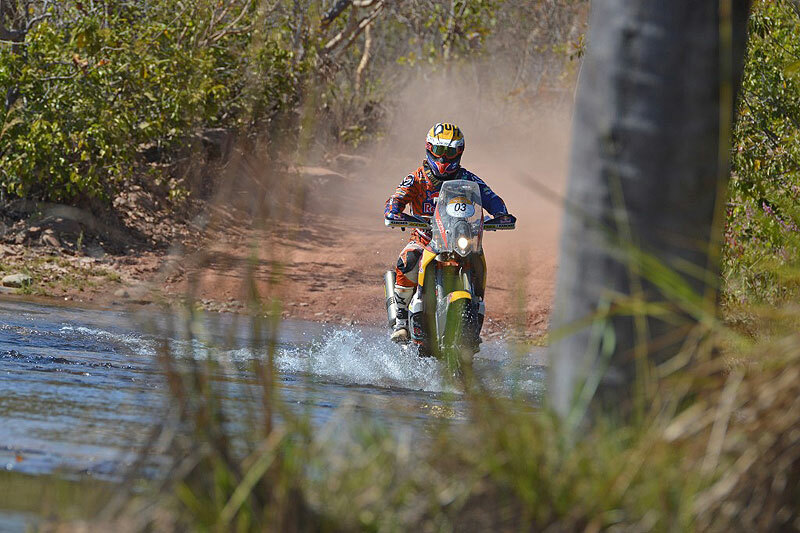 In provisional third overall is local Brazilian rider jean Azevedo while Coma’s three KTM factory teammates Jordi Viladoms (Spain), Ruben Faria (Portugal) and UK rider Sam Sunderland finished 5-7 in the stage. On Wednesday riders were at the half way mark of the marathon stage and were not permitted any support from the teams before they reach Diamantina on Thursday. 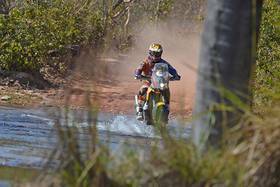 Coma is also a candidate for the title of world champion as the Rally dos Sertoes represent the fifth round of the six-round FIM World Cross Country Rally Championship. 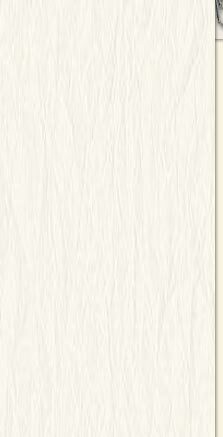 He went into Rd. 5 with a narrow six-point lead and is looking to extend that when the rally concludes on Saturday in Belo Horizonte.